WordPress plugins are tools that allow you to extend the functionality of your WordPress website. It’s like apps for your smartphone or software for your PC. It is convenient since you can add new features to the website without programming skills. You can do anything with plugins. Want to start an online store? Rent business? Job Board? Photography Blog? Or you like cooking and want to share your hobby with the world? Or you just want to protect your forms with a captcha? Easily. Translate your site, add tons of galleries and portfolios, add contact forms and social buttons, create custom pages and their PDF versions, promote your site and gather analytics – it is a small part of things you can do using these small useful tools. How long has it been since the last plugin update? Does it have ratings? Which ones? Does someone answer to support requests? 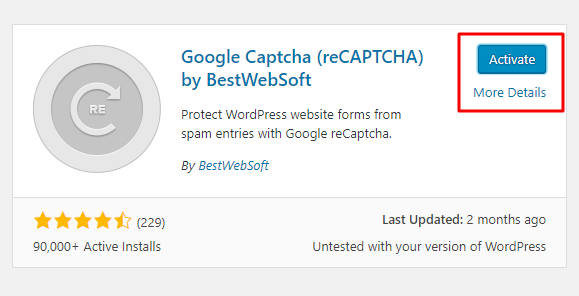 Is there a compatibility with the latest WordPress version? How many active installations the product has? Also, you should select plugins which were created using WordPress codex. It is an attribute which guarantees a quality product. Thus, you can be sure that your site won’t be slowed down and a probability of compatibility conflicts is near to zero. You can install plugins from your Dashboard or via FTP client. The easiest way is the first one. All you have to do is to go to your Dashboard > Plugins > “Add New”. Find the necessary plugin using some search parameters and click “Install Now” when you find the one. After that, it is necessary to activate the plugin and that’s it! You can go to its settings to configure it as you want. Also, you can upload the archive of the plugin using “Upload Plugin” button on the same page or install it manually via FTP. The detailed instruction on plugin installation you can find here. It should be noted that there is no such thing as “too many” plugins. Yes, they can slow down your site, but as it was mentioned earlier, it is possible with poor quality plugins. So you can install so many plugins as you need, just be sure you select good providers. If the plugin has a paid version, it doesn’t mean the free one is useless and you have to pay to receive a good product. As a rule, free version contains a basic functionality. If it is enough for you and it works good – just use it. Pro version offers additional options, and, usually, top priority support. So, when choosing the plugin, think about what functionality you’d like to have, look closely into its features list, contact plugin developers if you have some questions. These simple actions will help you to make the right decision.